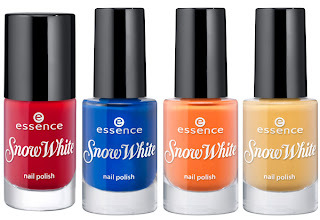 Essence has done it once again, launching a brand new Snow White Collection in collaboration with Disney at beauty recessionista prices to boot! "Mirror, mirror on the wall… these words conjure-up wonderful fantasies of enchanted forests, a prince and the greatest love of all… but what was the story behind that famous line again? In collaboration with Disney, the seven dwarves will not only charm us with their rosy red cheeks and a cheerful song on their lips, they’ll be delighting true fairytale fashionistas with the new Essence Snow White Collection for bright, colorful nail trends! 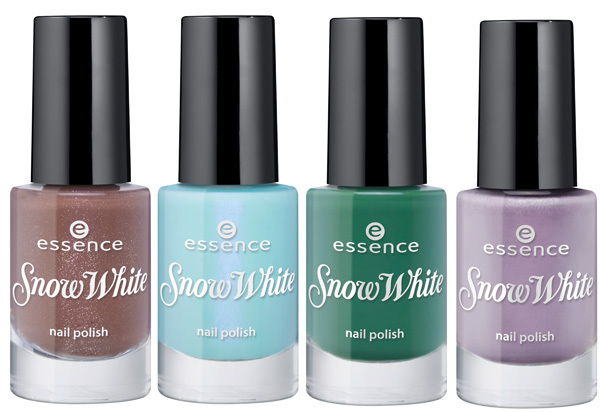 A snow white look and fairytale glam for your nails – the hype of the summer!" 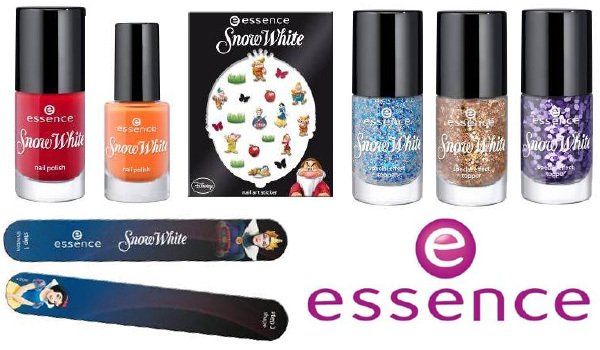 When snow white chooses the trendiest colors of the season, you can be sure that things are going to be colorful and playful – bright colors with great coverage conquer your nails and create imaginative styles. The highlight: the nail polish “snow white” comes in a 7 ml bottle and is a little bigger than the “seven dwarves” to bring the fairytale into your cosmetics bag in true Disney style. 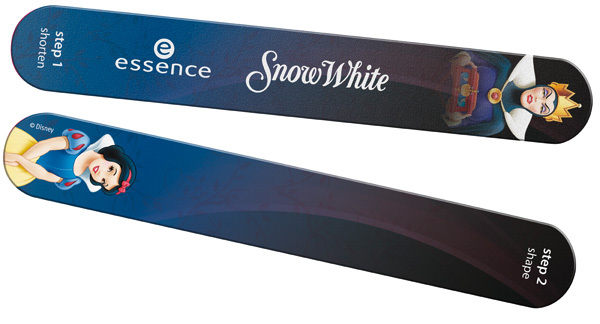 Who is the fairest of them all? 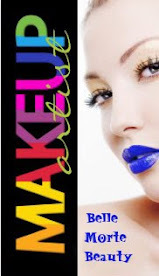 Everyone is! Because with these cheerful apple and dwarf stickers, one nail is more gorgeous than the next. 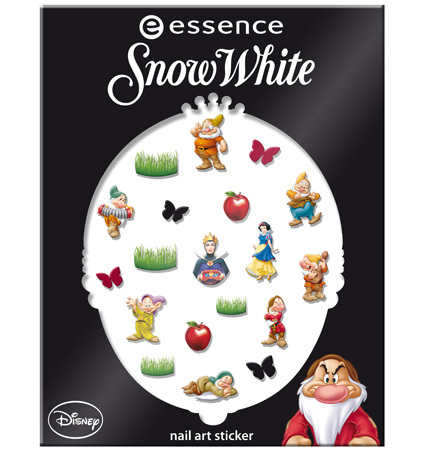 The “snow white” nail art stickers are the crowning glory for the cute and colorful nail polishes. 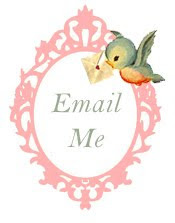 Let’s go – an exciting adventure awaits you! Sigh, what a wonderful happy ending – three magical top coats give your nails an enchanting finish. 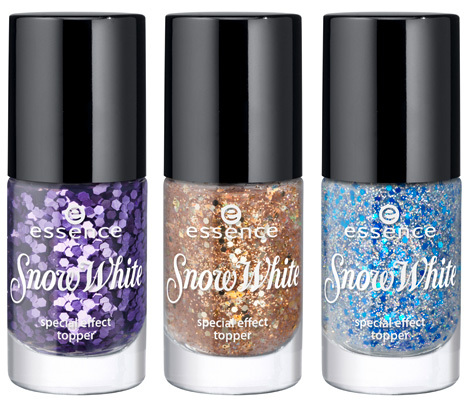 From mystical to romantic – holo effects and glitter particles conjure fairytale looks onto the tips of your nails. These special effects won’t be lost on any princes!